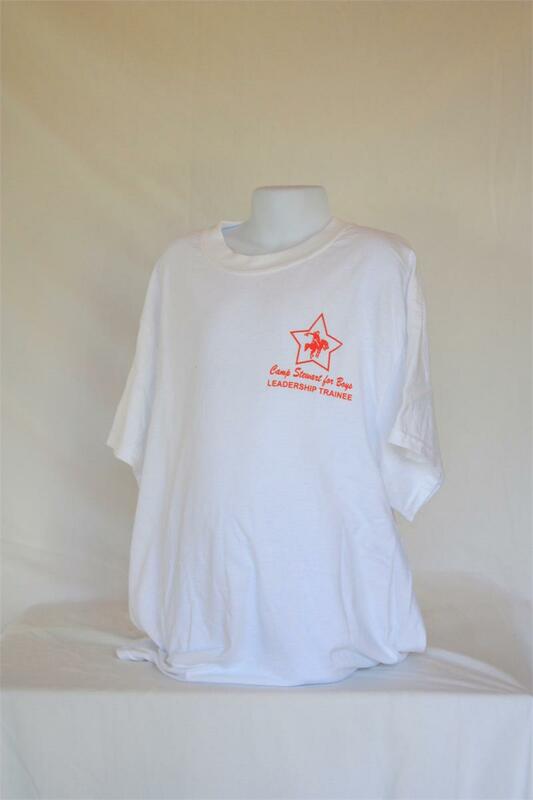 100% compacted heavy-knit cotton white T-shirts with Stewart Star Logo and Camp Stewart for Boys/LT embroidered in orange on left chest. Shirts are full, athletic cut, re-enforced crew neck, deep armholes, extra long body. Bottom and sleeves are hemmed. 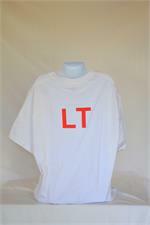 (LTs may wear these OR regular camper Ts. 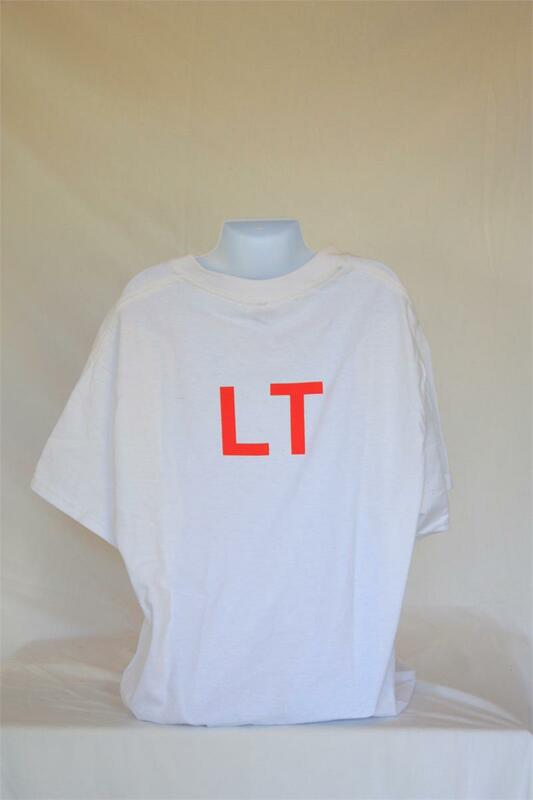 LT shirts are not required).